What’s the deal with DAOs? This post will look at the difference between a decentralized autonomous organization (DAO) and a project called The DAO. The wikipedia entry on DAOs is not very helpful. However, Chapters 2 through 5 may be of some use (although it is dated information). In terms of the uber hyped blockchain world, at its most basic kernel, a DAO is a bit of code — sometimes called a “smart contract” (a wretched name) — that enables a multitude of parties including other DAOs to send cryptographically verifiable instructions (such as a digitally signed vote) in order to execute the terms and conditions of the cloud-based code in a manner that is difficult to censor. One way to think of a simple DAO: it is an automated escrow agent that lives on a decentralized cloud where it can only distribute funds (e.g., issue a dividend, disperse payroll) upon on receiving or even not receiving a digital signal that a task has been completed or is incomplete. For instance, let us assume that a small non-profit aid organization whose staff primarily work in economically and politically unstable regions with strict capital controls, set up a DAO — an escrow agent — on a decentralized cloud to distribute payroll each month. Once enough signatures had been used to sign an on-chain contract, the escrow agent would automatically release the funds to the appropriate individuals (or rather, to a public address that an individual controls via private key). The terms in which the agent operated could also be amended with a predetermined number of votes, just like corporate board’s and shareholder’s vote to change charters and contracts today. The purported utility that decentralization brings to this situation is that it makes censoring transactions by third parties more difficult than if the funds flowed through a centralized rail. There are trade-offs to these logistics but that is beyond the scope of this post. The reason the DAO acronym includes the “organization” part is that the end-goal by its promoters is for it to provide services beyond these simple escrow characteristics such as handling most if not all administrative tasks such as hiring and firing. Watch out Zenefits, the cryptocurrency world is going to eat your lunch! Oh wait. It is really easy to get caught up in the euphoria of a shiny new toy. And the original goal of a DAO sounds like something out of science fiction — but these undertones probably do it a disservice. Prior to 2014 there had been several small discussions around the topic of autonomous “agents” as it related to Bitcoin. For instance, in August 2013, Mike Hearn gave a presentation at Turing Festival (see above), describing what was effectively a series of decentralized agents that operated logistical companies such as an autonomous car service. Several months later, Vitalik Buterin published the Ethereum white paper which dove into the details of how to build a network — in this case a public blockchain — which natively supported code that could perform complex on-chain tasks: or what he dubbed as a decentralized autonomous organization. The impetus and timing for this post is based on an ongoing crowdsale / crowdfunding activity for the confusingly named “The DAO” that has drawn a lot of media attention. Over the past year, a group of developers, some of whom are affiliated with the Ethereum Foundation and others affiliated with a company called Slock.it have created what is marketed as the first living and breathing DAO on the Ethereum network. The organizers kicked off a month long token sale and at the time of this writing just over 10 million ether (the native currency of the Ethereum blockchain) — or approximately 13% of all mined ether — has been sent to The DAO. This is roughly equivalent to over $100 million based on the current market price of ether (ETH). In return for sending ether to The DAO, users receive an asset called a DAO Token which can be used in the future to vote on projects that The DAO wants to fund.2 It is a process that Swarm failed at doing. An investment fund or a Kickstarter project? I would argue that, while from a technical standpoint it is possible to successfully set up a DAO in the manner that The DAO team did, that there really isn’t much utility to do so in an environment in which censorship or the theft of funds by third parties will probably not occur. Or in short, if you “invested” in The DAO crowdsale thinking you’re going to make money back from the projects via dividends, you might be better off investing in Disney dollars. Why would this pool of capital provide any better expected return-on-investment than others? While it probably wasn’t the 35th search engine, tor those unfamiliar with the history of Google, Larry Page and Sergey Brin are the co-founders who created a search engine in what was then though a very crowded market. I think part of it is quite simply: if you own a bunch of ether, there really isn’t much you can do with it right now. This is a problem that plagues the entire cryptocurrency ecosystem. Part of it also is that most probably think they will some become rich quick through dividends, but that probably won’t happen anytime soon, if at all. With The DAO, only the development teams of projects that are voted and approved by The DAO (e.g., the thousands of users with DAO Tokens), will see any short term gains through a steady paycheck. And it is only after they build, ship and sell a product that the original investors may begin seeing some kind of return. Or in other words: over the past several weeks, the pooling of capital has taken place for The DAO. In the future there will be various votes as to where that capital goes. Shortly thereafter, some capital is deployed and later KPI’s will be assessed in order to determine whether or not funding should continue. All the while some type of profit is sought and dividend returned. Why, I asked another friend, would this pool of capital offer any better risk adjusted return-on-investment than other asset classes? The return might be high but so is the risk. Always adjust for risk. I think The DAO is better compared to a distributed venture capital firm. Whether that’s better or worse I don’t know — I mean you have the crowd deciding on investments. Or more realistically: nerds who know how to obtain ether (ETH) get to decide on investments. Does that make them better VCs? Probably not. However, The DAO can decide to hire people with actual credentials to manage and select the investments, admitting its own weakness which would then turn into a strength. I think this can go either way but given the regulator is not prepared for any of this it will probably not work out in the short term. Does the ‘design-by-giant-nerd-committee’ process work? Over the past year we have already seen the thousands, probably tens-of-thousands of man-hours dropped into the gravity well that is known as the “block size debate.” In which hundreds of passionate developers have seemingly argued non-stop on Slack, Twitter, reddit, IRC, conferences and so forth without really coming to an amicable decision any one group really likes. So if block size-design-by-committee hasn’t worked out terribly well, will the thousands of investors in The DAO take to social media to influence and lobby one another in the future? And if so, how productive is that versus alternative investment vehicles? Assuming Ethereum has an economy (which it probably doesn’t by most conventional measures), will The DAO create a deflationary effect on the Ethereum economy? For instance, at its current rate, The DAO could absorb about 20% of the ether (ETH) monetary base. Does that mean it permanently removes some of the monetary base? Probably not. For example, we know that there will be some disbursements to projects such as Slock.it, so there will be some liquidity from this on-chain entity. And that future DAOs will spend their ether on expenses and development like a normal organization. But we also know that there is a disconnect between what The DAO is, an investment fund, with what many people see it as: a large vault filled with gold laying in Challenger Deep that will somehow appreciate in value and they will be able to somehow extract that value. Sure, we will all be able to observe that the funds exist at the bottom of the trench, but someone somewhere has to actually create value with the DAO Tokens and/or ether. For the same reason that most incubators, accelerators and VC funds fail, that entrepreneur-reliant math doesn’t change for The DAO. Not only does The DAO need to have a large volume of deal flow, but The DAO needs to attract legitimate projects that — as my friend point out above — have a better risk adjusted return-on-investment than other asset classes. Will the return-on-investment of the DAO as an asset class be positive in the “early days”? What happens when the operators and recipients of DAO funds eventually confront the problem of securities regulation? So far, most of the proposals that appear to be geared up for funding are reminiscent to hype cycles we have all seen over the past couple of years. Maybe the funds will not all be vaporized, but if a non-trivial amount of ETH ends up being held in this DAO or others, it could be the case that with sluggish deal flow, a large portion of the funds could remain inert. And since this ether would not touching any financial flows; it would be equivalent to storing a large fraction of M0 in your basement safe, siloed off from liquid capital markets. Since the crowdsale / crowdfund began on April 30, the market price of ETH has increased ~30%; is that a coincidence or is there new demand being generated due to The DAO crowdsale? Yesterday Gavin Wood, a co-founder of Ethereum, announced that he is stepping down as a “curator” for The DAO. Curators, according to him, are effectively just individuals who identify whether someone is who they say they are — and have no other duties, responsibilities or authority. Three days ago, the Slock.it dev team — some of whom also worked on creating The DAO — did a live Q/A session that was videotaped and attempted to answer some difficult questions, like how many DAO Tokens they individually own. About 17 months ago I put together a list of token crowdsales. It would be interesting to revisit these at some point later this year to see what the return has been for those holders and how many failed. For instance, there hasn’t really been any qualitative analysis of crowdsales or ICOs in beyond looking at price appreciation.6 What other utility was ultimately created with the issuance of say, factoids (Factom tokens) or REP (Augur tokens)? Similarly, no one has really probed Bitcoin mining (and all POW mining) through the lens of a crowdsale on network security. Is every 10 minutes an ICO? After all, the scratch-off contest ties up capital seeking rents on seigniorage and in the long run, assuming a competitive market, that seigniorage is bid away to what Robert Sams has pointed out to where the marginal cost equals the marginal value of a token. So you end up with this relatively large capital base — divorced from the real world — that actually doesn’t produce goods or services beyond the need to be circularly protected via capital-intensive infrastructure. what are the benefits, if any, of using a centralized autonomous organization (CAO) versus decentralized autonomous organization (DAO) for regulated institutions? will the continued concentration of ether and/or DAO Tokens create a 51% voting problem identified in the “Curator” section? Still don’t fully understand what The DAO is? Earlier this week CoinDesk published a pretty good overview of it. William Mougayar is an angel investor who has been investigating the cryptocurrency and broader distributed ledger ecosystem over the past several years. He recently published a book entitled The Business Blockchain that attempts to look at how enterprises and organizations should view distributed ledgers and specifically, blockchains. 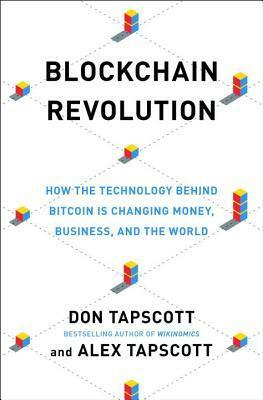 While it is slightly better than “Blockchain Revolution” from the Tapscott’s, it still has multiple errors and unproven conjectures that prevent me from recommending it. For instance, it does not really distinguish one blockchain from another, or the key differences between a distributed ledger and a blockchain. Note: all transcription errors below are my own. See my other book reviews. While the underlying mathematics and cryptographic concepts took decades to develop and mature, the technical parts and mechanisms of the ledger (or blockchain) are greater than the sum of the ledger’s parts. It could probably be written slightly different: how do you coordinate geographically dispersed actors to solve a problem in which one or more actor could be malicious and attempt to change the plan? See also Lamport et al. explanation. I don’t think this is an accurate comparison. For instance, a ledger, as Robert Sams has noted, assumes ties to legal infrastructure. Some blockchains, such as Bitcoin, were intentionally designed not to interface with legal infrastructure, thus they may not necessarily be an actual ledger. I think the confusion comes from thinking of cryptocurrency chains as ledgers at all. A cryptocurrency blockchain is (an attempt at) a decentralised solution to the double spending problem for a digital, extra-legal bearer asset. That’s not a ledger, that’s a log. That was the point I was trying to make all along when I introduced the permissioned/permissionless terminology! Notice, I never used the phrase “permissionless ledger” — Permissionless’ness is a property of the consensus mechanism. With a bearer asset, possession of some instrument (a private key in the cryptocurrency world) means ownership of the asset. With a registered asset, ownership is determined by valid entry in a registry mapping an off-chain identity to the asset. The bitcoin blockchain is a public log of proofs of instrument possession by anonymous parties. Calling this a ledger is the same as calling it “bearer asset ledger”, which is an oxymoron, like calling someone a “married bachelor”, because bearer assets by definition do not record their owners in a registry! This taxonomy that includes the cryptocurrency stuff in our space (“a public blockchain is a permissionless distributed ledger of cryptocurrency”) causes so much pointless discussion. I should also mention that the DLT space should really should be using the phrase “registry” instead of “ledger”. The latter is about accounts, and it is one ambition too far at the moment to speak of unifying everyone’s accounts on a distributed ledger. Is this pedantic? Maybe not, as the authors of The Law of Bitcoin also wrestle with the buckets an anarchic cryptocurrency fall under. This is needless inflammatory. Commercial law and bankruptcy proceedings will determine who owns what and what tranche/seniority your claims fall under. It is unclear what the illusion is. Which blockchain is he talking about? If it is not digital fiat, how does the cash-in/cash-out work? To my knowledge, no bank has implemented an end-to-end production system with other banks as described above. Perhaps that will change in the future. On p. 18 he cites Robert Sams who is quoting Nick Szabo, but didn’t provide a source. It is found in Seigniorage Shares. This is empirically not true and actually misses the crux of Sams’ argument related to expectations. This isn’t quite correct. On a given day over the past year, the average TPS is around 2 TPS and Tradeblock estimates by the end of 2016 that with the current block size it will hover around just over 3 TPS. What is a sidechain? It is left undefined in that immediate section. One potential definition is that it is a sofa. This is untrue. “Private blockchains” do not have “less” security requirements, they have different security requirements since they involve known, trusted participants. I am also unaware of any production distributed ledger system that hits 10,000 TPS. Lastly, it is unclear where the “unlimited ceiling” prediction comes from. Where did you warn people? Link? I would argue that it is first and foremost a network. Some, but not all companies building blockchain-related technology, open source the libraries and tools. Also, this conflates the difference between code and who can validate transactions on the network. A “private blockchain” can be open sourced and secure, but only permit certain entities to validate transactions. Practical Byzantine Fault Tolerance is the name of a specific algorithm published in 1999 by Castro and Liskov; it is unrelated to Bitcoin. This is a design feature: to make it economically costly to change history. It wasn’t that Satoshi conjured up a consensus method to be environmentally friendly, rather it is the hashrate war and attempt to seek rents on seigniorage that incentivizes the expenditure of capital, in this case energy. If the market price of a cryptocurrency such as bitcoin declined, so too would the amount of energy used to secure it. Which blockchain is he talking about? They are not a commodity, there are several different unique types. Furthermore, distributed consensus is an academic research field that has existed for more than two decades. Mougayar describes the etymology of the word “blockchain” specific to Bitcoin itself. Note: a block actually is more akin to a “batch” or “bucket” in the sense that transactions are bundled together into a bucket and then propagated. His definition of what a blockchain is is not inclusive enough in this chapter though because it is unclear what decentralization can mean (1 node, 100 nodes, 10,000 nodes?). Also, it is important to note that not all distributed ledgers are blockchains. Which credit card companies are charging 23%? Who is being charged this? Also, even if this were the case, how does a blockchain of some kind change that? This is just a broad sweeping generalization. What does truth and transparency mean here? Which blockchains? Which institutions? Cannot existing institutions build or use some kind of distributed ledger to provide the “truth” and “transparency” that he advocates? This is not true, there are many examples of Airbnb houses that have been trashed and vandalized. On p. 34, just as the Tapscott’s did in their book, Mougayar talks about how Airbnb could use a blockchain for identity and reputation. Sure, but what are the advantages of doing that versus a database or other existing technology? First off, which blockchain? And which enterprises had a headache from it? This is empirically untrue. Centralized systems prevent double-spending each and every day. There is a double-spending problem when you are using a pseudonymous, decentralized network and it is partially resolved (but not permanently solved) in Bitcoin by making it expensive, but not impossible, to double-spend. Why are smart contracts ideal for that? On p. 46 he writes: “Time-stamping” and in other areas he writes it without a dash. Which blockchains? Not all blockchains in the market are censorship resistant. Why and why not? This is untrue. Bitcoin does not encrypt anything nor does Ethereum. A user could encrypt data first, take a hash of it and then send that hash to a mining pool to be added to a block, but the network itself provides no encryption ability. Actually, it has on altcoins. One notable occurrence impacted Feathercoin during June 2013. This is the same meme in the Tapscott book. There are many reasons for why specific companies and organizations have large users bases but it is hard to see how they hijacked anyone; but that is a different conversation altogether. This is a very liberal use of the word subsidize. What Mougayar is describing above is actually more of a tax than a charitable donation. The design behind Bitcoin was intended to make it such that there was a Nash equilibrium model between various actors. That miners would not need to rely on charity to continue to secure the network because as block rewards decline, the fees themselves would in the long run provide enough compensation to pay for their security services. It could be argued that this will not happen, that fees will not increase to offset the decline in block rewards but that is for a different article. As an aside, Mougayar’s statement above then intersects with public policy: which blockchains should receive that subsidy or donation? All altcoins too? And who should pay this? This is untrue. The ~6,400 nodes on the Bitcoin network are all servers that require setup and maintenance to run. The same for Ethereum and any other blockchain. Timo Hanke and Sergio Lerner have hypothesized that Satoshi probably used multiple computers, perhaps more than a dozen. This is not true. From a capital and operation expenditure perspective, public blockchains are several orders of magnitude more expensive to own and maintain than a private blockchain. Why? Because there is no proof-of-work involved and therefore private blockchain operators do not need to spend $400 million a year, which is roughly the cost of maintaining the Bitcoin network today. In contrast, depending on how a private blockchain (or distributed ledger) is set up, it could simply be run by a handful of nodes on several different cloud providers – a marginal cost. Mougayar cites his survey of the landscape for this. I would dispute this though, it’s probably an order of magnitude less. The only way this number is 5,000 is if you liberally count attendees at meetups or all the various altcoins people have touched over the year, and so forth. Even the headcount of all the VC funded “bitcoin and blockchain” companies is probably not even 5,000 as of May 2016. This is a little too hand-wavy. One of the top topics that invariably any conversation dovetails into at technical working groups continues to be “how to scale” while keeping privacy requirements and non-functional requirements intact. Perhaps this will be resolved, but it cannot be assumed that it will be. This is a confusing passage. The bottom line is that public blockchains were not designed with the specific requirements that regulated financial institutions have. If they did, perhaps they would be used. But in order to modify a public blockchain to provide those features and characteristics, it would be akin to turning an aircraft carrier into a submarine. Sure it might be possible, but it would just be easier and safer to build a submarine instead. Also, why would an organization use a public blockchain for their internal needs? What does that mean? Actually, what made law enforcement and regulators uncomfortable was a lack of compliance for existing AML/KYC regulations. The headlines and hearings in 2011-2013 revolved around illicit activities that could be accomplished as there were no tools or ability to link on-chain activity with real world identities. There are a couple issues going on here. Also, to be balanced, manyh of the promises around “fintech” innovation still has yet to germinate due to the fact that many of the startups involved eventually need to incorporate and create the same cost structures that banks previously had to have. See for instance, financial controls in marketplace lending – specifically Lending Club. Any banker will say that? While a couple of business lines may change, which banks are being displaced by either of those two services right now? Why? Why must it permeate faster? What does that even mean? What does this mean? If anything, the Bitcoin economy is even more concentrated than the global banking world, with only about a dozen exchanges globally that handle virtually all of the trading volume of all cryptocurrencies. This is untrue. There are many local and international laws that have been and continue to be broken involving money transmission, AML/KYC compliance and taxes. Ignoring those though, fundamentally there are probably more claims on bitcoins – due to encumbrances – than bitcoins themselves. This is a big problem that still hasn’t been dealt with as of May 2016. This is not a priori true, how can he claim this? Empirically we know that permissioned blockchains are designed for different environments than something like Bitcoin. How can he measure the amount of potential “innovation” either one has? This is effectively an ad hominem attack on those working with regulated institutions who do not have the luxury of being able to ignore laws and regulations in multiple jurisdictions. There are large fines and even jail time for ignoring or failing to comply with certain regulations. “Simon Taylor, head of the blockchain innovation group at Barclays, sums it up: “I do not disagree the best use cases will be outside regulated financial services. Much like the best users of cloud and big data are not the incumbent blue chip organizations. Still their curioisity is valuable for funding and driving forward the entire space.” I strongly agree; there is hope some banks will contribute to the innovation potential of the blockchain in significant ways as they mature their understanding and experiences with this next technology. An ending note to banks is that radical innovation can be a competitive advantage, but only if it is seen that way. Otherwise innovation will be dialed down to fit their own reality, which is typically painted in restrictive colors. It would be useful to see banks succeed with the blockchain, but they need to push themselves further in terms of understanding what the blockchain can do. They need to figure out how they will serve their customers better, and not just how they will serve themselves better. Banks should innovate more by dreaming up use cases that we have not though about yet, preferably in the non-obvious category. The fundamental problem with his statement is this: banks are heavily regulated, they cannot simply ignore the regulations because someone says they should. If they fail to maintain compliance, they can be fined. But that doesn’t mean they cannot still be innovative, or that the technology they are investigating now isn’t useful or helpful to their business lines. While this could be true, it is an over generalization: what type of business lines at banks are being threatened? What part of “their” core is under attack? Surely that is a typo, there are probably 200 regulatory bodies alone in the US itself. This is a confusing passage. Nearly all of the popular cryptocurrency exchanges in developed countries require KYC/AML compliance in order for users to cash-in and out of their fiat holdings. How do cryptocurrency exchanges provide any utility to banks who are already used to transferring and trading foreign exchange? In terms of percentages, cryptocurrency exchanges are still very easy to compromise versus banks; what utility do banks obtain by acquiring exchanges with poor financial controls? And, in order to fund their internal operations, cryptocurrency exchanges invariably end up with the same type of cost structures regulated financial institutions have; the advantage that they once had effectively involved non-compliance – that is where some of the cost savings was. And banks cannot simply ignore regulations because people on social media want them to; these cryptocurrency sites require money to operate, hence the reason why many of them charge transaction fees on all withdrawals and some trades. On p. 115 he mentions La’Zooz and Maidsafe, neither of which – after several years of development, actually work. Perhaps that changes in the future. Perhaps this is true, that there could be utility gain from some kind of blockchain. But this misses a larger challenge: many of these same countries lack private property rights, the rule of law and speedy courts. What advantage do customers gain from carrying this around in a secure wallet? Perhaps they do, but it isn’t clear in this chapter. 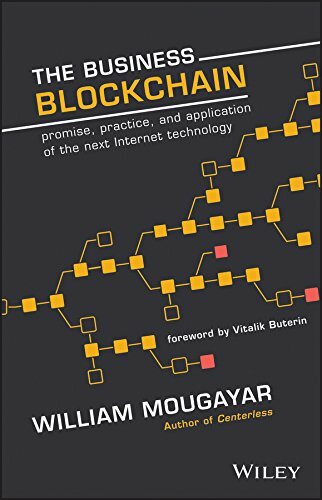 On p. 126-127 he makes the case for organizations to have a “blockchain czar” but an alternative way to pitch this without all the pomp is simply to have someone be tasked with becoming a subject-matter expert on the topic. Costs. Websites have real costs. Content on those websites have real costs. And so forth. Public goods are hard to sustain because no one wants to pay for them but everyone wants to use them. Eventually commercial entities found a way to build and maintain websites that did not involve external subsidization. This conflicts with the “Internet is decentralized” meme that was discussed throughout the book. So if aspects of the Internet are regulated, and Mougayar disagrees with those regulations, doesn’t this come down to disagreements over public policy? Why are cryptocurrencies perfect? Perhaps they are, but it is not discussed here. On p. 153 he also talks about the “programmability” of cryptocurrencies but doesn’t mention that if fiat currencies were digitally issued by central banks, they too could have the same programmable abilities. Perhaps that occurs, but why? And are virtual currencies now different than digital currencies? Or are they the same? None of these questions are really addressed. This book is quick read but unfortunately is weighed down by many opinions that are not supported by evidence and consequently, very few practical applications for enterprises are explained in detail. For regulated businesses such as financial institutions, there are several questions that need to be answered such as: what are the specific cost savings for using or integrating with some kind of blockchain? What are the specific new business lines that could be created? And unfortunately the first edition of this book did not answer these types of questions. Let us look again at a future version. See my other book reviews. A couple weeks ago I joked that while containment is impossible, it would be nice to know who patient-zero was for using the term “blockchain” without an article preceding it. The mystery of who exactly removed the “a” before “blockchain” is probably residing on the same island that Yeti, Sasquatch, and the New England Patriot’s equipment team are now located. Don and Alex Tapscott, a Canada-based father-son duo, co-authored a new book entitled Blockchain Revolution that not only suffers from this grammatical faux pas but has several dozen errors and unproven assertions which are detailed in this review. Below is a chapter-by-chapter look into a book that should have baked in the oven for a bit more time. Note: all transcription errors are my own. See my other book reviews. Ignoring the current drama surrounding Craig Wright — the Australian who claims to be Satoshi — during the initial threads on Metzdowd, Satoshi mentioned he had been working on this project for 18 months prior; roughly mid-2007. So it was more coincidental timing than intentional. And much like other books on the same topic, the authors do not clarify that there are more than one type of blockchain in existence and that some are a type of distributed ledger. With the ‘it’ being a ‘blockchain.’ The problem with this grammatical issue is that we know empirically that there many different types of distributed ledgers and blockchains currently under development and not all of them are open sourced. Nor does being open source automagically qualify something as a blockchain. That’s an opinion that the authors really don’t back up with facts later on. In addition, on the same page they make the “encryption” error that also plagues books in this space: the Bitcoin blockchain does not use encryption. Incorrect. Bitcoin employs a couple different cryptographic processes, but it doesn’t use encryption. Furthermore, the example of a ‘two-key system’ actually illustrates multisig, not public-private key pairs. (1) it is unclear which “bankers” they are speaking about, is it every person who works at a bank? (2) the term ‘openness’ is not very well defined, does that mean that people at banks do not want to have cryptographically proven provenance? In addition, in order for something to be privatized it must have been public at first. Claiming that the “blockchain” toolkit of ideas and libraries was privatized away from Bitcoin is misleading. The moving pieces of Bitcoin itself are comprised of no less than 6 discrete elements that previously existed in the cryptography and distributed systems communities. The Bitcoin network itself is not being privatized by financial institutions. In fact, if anything, empirically Bitcoin itself is being carved away by entities and efforts largely financed by venture capital — but that is a topic for another article. Furthermore, research into distributed computing and distributed consensus techniques long predates Bitcoin itself, by more than a decade. Lastly, and this is why it helps to clearly define words at the beginning of a book, it is important to note that some blockchains are a type of distributed ledger but not all distributed ledgers are blockchains. This is only true if you conflate cryptocurrency systems with non-cryptocurrency systems. The two are separate and have completely different business models. See my December presentation for more details about the divergence. First off, this is a typo because the original article the authors cite, actually says the number is 927 not 937. And the ‘study’ showed that about half of all bitcoins resided on addresses controlled by 937 on-chain entities. Addresses does not mean individuals. It is likely that some of these addresses (or rather, UTXOs) are controlled and operated by early adopters (like Roger Ver) as well as exchanges (like Bitstamp and Coinbase). Furthermore, it is unclear from the rest of the book how that concentration of wealth is changing — where is that data? On p. 18 they write about Airbnb, but with a blockchain. It is unclear from their explanation what the technical advantage is of using a blockchain versus a database or other existing technology. Abra was first publicly announced in March 2015 and then formally launched in the Philippines in October 2015. Fast forward to May 2016 and according to the Google Play Store and Abra has only been downloaded about 5,000 times. Perhaps it will eventually reach 500,000 and even displace Western Union, but the authors’ predictions that this will occur in one year is probably not going to happen at the current rate. Will this require a payment processing license in each jurisdiction the conversion takes place? on a proof-of-work blockchain, the amount of energy consumed is not connected with the amount of transactions being processed. Miners consume energy to generate proofs-of-work irrespective of the number of transactions waiting in the memory pool. Transaction processing itself is handled by a different entity entirely called a block maker or mining pool. as of May 2016, it is unclear why there would be millions of interconnected proof-of-work blockchains. There are perhaps a couple hundred altcoins, at least 100 of which are dead, but privately run blockchains do not need to use proof-of-work — thus the question surrounding incentives is a non sequitur. while blockchains however defined may displace workers of some kind at some point, the authors never really zero in on what “job killing” blockchains actually do? Nowhere do the authors actually cite empirical data showing traction. If there was indeed massive momentum, we should be able to see that from data somewhere, but so far that is not happening. Perhaps that changes in the future. Who is fighting what? They are presumably talking about a blockchain, but which one? And why should people stop what they are doing to get on board with something that is ill-defined? The word “trust” or variation thereof appears 11 times in the main body of the original Satoshi whitepaper. Routing around trusted third parties was the aim of the project as this would then allow for pseudonymous interaction. That was in October 2008. What we empirically see in 2016 though is an increasingly doxxed environment in which it could be argued that ‘trusted’ parties could do the same job — movement of payments — in a less expensive manner. But that is a topic for another article. the process of mining, as we have looked at before, involves a division of labor between the entities that generate proofs-of-work – colloquially referred to as miners, and those that package transactions into blocks, called blockmakers. Miners themselves do not actually maintain a copy of a blockchain, pools do. while public blockchains like Bitcoin are a ‘public good,’ it doesn’t follow how or why anyone should be compelled to subsidize them, at least the reasons why are not revealed to readers. the only reason proof-of-work was used for Bitcoin is because it was a way to prevent Sybil attacks on the network because participants were unknown and untrusted. Why should a washing machine vendor integrate an expensive chip to do calculations that do not help in the washing process? See Appendix B for why they shouldn’t. because proof-of-work is used in a public blockchain and public blockchains are a public good, how does anyone actually have a “share” of a blockchain? What does that legally mean? to my knowledge, none of the professional mining farms that exist have stated they are donating or lending their mining power; instead they calculate the costs to generate proofs-of-work versus what the market value of a bitcoin is worth and entering and exiting the market based on the result. this is a contentious issue, but because of the concentration and centralization of both mining and development work, there have been multiple non-public events in which mining pools, mining farms and developers get together to discuss roadmaps and policy. Is that backdoor dealing? This may have been true a few years ago, but only superficially true today. Most mining pools connect to the Bitcoin Relay Network, a centralized network that allows miners to propagate blocks faster than they would if they used the decentralized network itself to do so (it lowers the amount of orphan blocks). Regarding cryptocurrencies, there is currently no built-in mechanism for tracking or maintaining reputation on their internal P2P network. There are projects like OpenBazaar which are trying to do this, but an on-chain Bitcoin user does not have a reputation because there is no linkage real world identity (on purpose). Counterfactually, there are many trolls in the overall blockchain-related world, especially on social media in part because there is no identity system that links pseudonymous entities to real world, legal identities. On p. 39 the authors list a number of high profile data breaches and identity thefts that took place over the past year, but do not mention the amount of breaches and thefts that take place in the cryptocurrency world each year. the debate over whether or not a gold-based economy is good or not is a topic that is probably settled, but either way, it is probably irrelevant to creating Sybil resistance. it is empirically untrue that anyone can just “join the Internet” because the Internet is just an amalgamation of intranets (ISPs) that connect to one another via peering agreements. These ISPs can and do obtain KYC information and routinely kick people off for violating terms of service. ISPs also work with law enforcement to link IP addresses with legal identities; in fact on the next page the authors note that as well. in order to use the Bitcoin network a user must obtain bitcoins somehow, almost always — as of 2016 — through some KYC’ed manner. Furthermore, there are multiple projects to integrate identity into distributed ledger networks today. Perhaps they won’t be adopted, but regulated institutions are looking for ways to streamline the KYC/AML process and baking in identity is something many of them are looking at. That is not quite true. There are about 10 companies that provide data analytics to law enforcement in order to track down illicit activity involving cryptocurrencies all the way to coin generation itself. Furthermore, companies like Coinbase and Circle are routinely subpoenaed by law enforcement. So while the network itself cannot be physically subpoenaed, there are many other entities in the ecosystem that can be. The public-private key technology being used in Bitcoin does not confirm ownership, only control. Ownership implies property rights and a legal system, neither of which currently exist in the anarchic world of Bitcoin. Furthermore, while it is not currently possible to reverse the hashes (hence the immutability characteristic), blocks can and have been reorganized which makes the Bitcoin blockchain itself revocable. This is empirically untrue: CLS and national real-time gross settlement (RTGS) systems are typically non-reversible. And the usage of the word contract here implies some legal standing, which does not exist in Bitcoin; there is currently no bridge between contracts issued on a public blockchain with that of real world. First off, they provide no evidence that Satoshi was actually concerned about developing countries and their residents. In addition, they mix up the difference between seigniorage and inflation – they are not the same thing. In fact, to illustrate with Bitcoin: seigniorage is the marginal value of a bitcoin versus the marginal cost of creating that bitcoin. As a consequence, miners effectively bid up such that in the long run the cost equals the value; although some miners have larger margins than others. In contrast, the increase in the money supply (inflation) for Bitcoin tapers off every four years. The inflation or deflation rate is fully independent of the seigniorage. This is problematic in that it is never defined what clearing and settlement means. And, the Bitcoin network can only — at most — provide some type of probabilistic settlement for bitcoins and no other asset. Not all private blockchains or distributed ledgers are the same, nor do they all have the same terms of service. The common theme has to do with knowing all the participants involved in a transaction (KYC/KYCC) and only certain known entities can validate a transaction. Furthermore, the authors do not provide any supporting evidence for why this technology will stagnate or become vulnerable. The authors do not really define what open and closed means here. Fulfilling KYC requirements through terms of service at ISPs and governance structures like ICANN did not prevent the Internet from coming into existence. It is possible to have vibrant innovation on top of platforms that require linkage to legal identification. Once again this shows how the authors conflate “blockchain” with “Bitcoin.” The passage they spoke about Circle, a custodian of bitcoins that has tried to find banks to partner with for exchanging fiat to bitcoins and vice versa. This is money transfer. This type of activity is different than what a “blockchain” company does, most of whom aren’t exchanging cryptocurrencies. This may be true, but what are the stats or examples of people violating Sarbanes-Oxley, and how do “blockchains” help with this specifically? First off, which blockchain? And how does a specific blockchain provide that kind of power that couldn’t otherwise be done with existing non-blockchain technology? But what if you do not use eBay? And why do you need a blockchain to track or generate a credit rating? BTCjam appears to have plateaued. They currently have a low churn rate on the available loans and they exited the US market 2 months ago. From a technical perspective this may be possible, but from a legal and regulatory perspective, it may not be yet. Overstock has been given permission by the SEC to experiment with issuance. “Bitcoin cannot have bail-ins, bank holidays, currency controls, balance freezes, withdrawal limits, banking hours,” said Andreas Antonopoulos. That’s not quite true. Miners can and will continue to meet at their own goals and they have the power to hard fork to change any of these policies including arbitrarily increasing or decreasing the issuance as well as changing fees for faster inclusion. They also have the ability to censor transactions altogether and potentially — if the social value on the network increases — “hold up” transactions altogether. Also, this doesn’t count the subsidies that miners receive from the utilities. It can arguably be discounted. What evidence is presented to back up the claim that any infrastructure will last for hundreds of years? Does this mean actually embedding the code as text onto a blockchain? Or does this mean modifying the UCC to incorporate the design characteristics of a specific blockchain? since it is not fiat currency, it does not settle instantly. In fact, users still have a counterparty risk involving delivery of the pen versus the payment. if a central bank issued a digital currency, then there could be on-chain settlement of cash. The DTCC published a white paper in January that explains they can already do near real-time settlement, but T+3 exists due to laws and other market structures. As an aside, Hedgy is now dead. Also, there are other ways to illustrate multisig utility as a financial control to prevent abuse. The problem is that the cartoon they are citing (above) was actually a parody created by Ken Tindell last year. The original Scott Adam’s cartoon was poking fun of databases and is from November 17, 1995. Western Union does not have a monopoly on international payments, in fact, in many popular corridors they have less than 25% of market share. In addition, Western Union does not take a flat $10 off every transaction. You can test this out by going to their price estimator. For instance, sending $1,000 from the US to a bank account in China will cost $8. The problem with their statement is that cash settlements, unless it is digital fiat, is not settled instantly. Identities can still be stolen on the edges (from exchanges). And, governments can still issue subpoenas and work with data analytics companies to track provenance and history. While that may have been the case when these cryptocurrency systems first launched, in order to acquire ether (for Ethereum) or bitcoin, users must typically exchange fiat first. And in doing so, they usually dox themselves through the KYC requirements at exchanges. On p.123-124 they write about a ‘Weather decentralized application’ but do not discuss how its infrastructure is maintained let alone the Q-o-S. The legality of this is not mentioned. How does he know this? Furthermore, the Bitcoin network itself is already available to hundreds of millions, but many have chosen not to use it. Why is this not factored into the prediction? The total article text of English Wikipedia is currently around 12 gigabytes. If it is a public blockchain, then how would this fit on the actual blockchain itself? Why not upload the English version onto the current Bitcoin blockchain as an experiment? What utility is gained? From p. 129-144 they imagine seven ideas that are pitched as business ideas, but in most instances it is unclear what the value proposition that a blockchain provides over existing technology. What does that mean? Does that mean that there are multiple blockchains and that somehow bitcoin transactions control other blockchains too? What are those costs? And what specifically prevents databases from doing so? Depositing first and having a card-on-file are types of solutions that currently exist. “Microtipping” doesn’t really work for a number of reasons including the fact that consumers do not like to nickel and dime themselves. This is one of the reasons that ChangeTip had difficulties growing. The friction of moving into and out of fiat to enter into the cryptocurrency market is an unnecessary leg, especially if and when central bank digital currency is issued. On pages 156-169 nearly all of the examples could use a database as a solution, it is unclear what value a blockchain could provide in most cases. Furthermore, on p. 159 they discuss documentation and record keeping but don’t discuss how these records tie into current legal infrastructure. Maybe some transactions on some blockchains cost fractions of pennies, but currently not Bitcoin transactions. David Birch is not a cryptographer. Unless everyone is using one currency, this is untrue. But users still need to cash out on the other side which requires different infrastructure than Skype, namely money transmitter licenses and bank accounts. How can a smart contract itself detect what gender the user is? How does Bitcoin do that? What are the specific ways it can? Which blockchain does this? There are external services like Ascribe.io that purportedly let creators take a hash of a document (such as a patent) and store it into a blockchain. But the blockchain itself doesn’t have that feature. On p. 255 they mention that Greek citizens during 2015 would’ve bought more bitcoins if they had better access to ATMs and exchanges. But this is not true, empirically people typically try to acquire USD because it is more universal and liquid. Perhaps that changes in the future, but not at this time. Where is the citation? The reason the costs of securing the Bitcoin network are currently around $400 million a year is because that is roughly the amount of capital and energy expended by miners to secure a network in which validators are unknown and untrusted. If you know who the participants are, the costs of securing a network drop by several orders of magnitude. Actually what happens is that while the ASIC chips themselves become more energy efficient, miners in practice will simply add more equipment and maintain roughly the same energy costs as a whole. That is to say, if a new chip is 2x as efficient as before, miners typically just double the acquisition of equipment — maintaining the same amount of energy consumption, while doubling the hashrate. There is no “environmental friendliness” in proof-of-work blockchains due to the Red Queen Effect. With thousands of copies being replicated around the world, it’s unclear who actually is storing it, perhaps intelligence agencies are. We do know that at least 10 companies are assisting compliance teams and law enforcement in tracking the provenance of cryptocurrency movements. Wrong year, it was in January 2016. Actually, Gemini hasn’t gained ground and remains relatively flat over the past ~5 months. Even adding ether to their list of assets didn’t move the dial. Overall the book was published a little too early as there hasn’t been much real traction in the entire ecosystem. The content and perspective is currently skewed towards telling the cryptocurrency narrative and seemingly downplays the important role that institutions and enterprises have played over the past year in the wider distributed ledger ecosystem. If you are looking for just one book to read on the topic, I would pass on this and wait for a future edition to rectify the issues detailed above. See my other book reviews.